Trend-setting drive concept by DESMA. 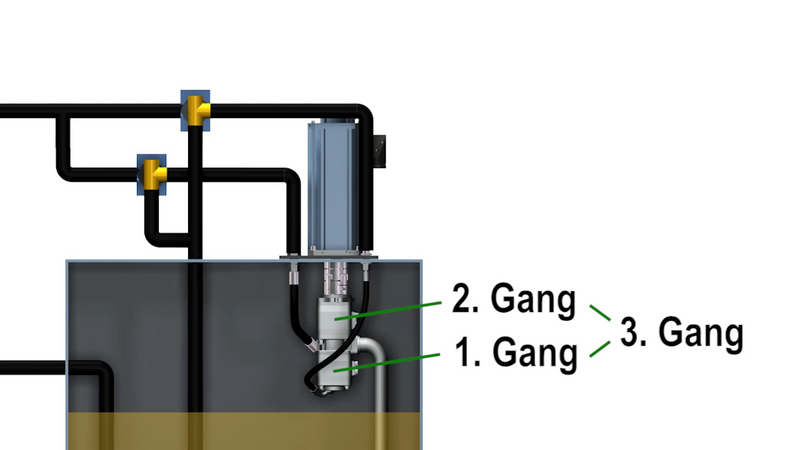 Each servo axle of the ServoGear hydraulics accommodates two differently sized constant pumps, which depending on speed and pressure can be operated individually or jointly. Both at extremely low and extremely high speeds, the three-speed gear permits an accurate control – with simultaneously clearly reduced energy consumption. Optimising the energy consumption of production cycles. All in all, approx. 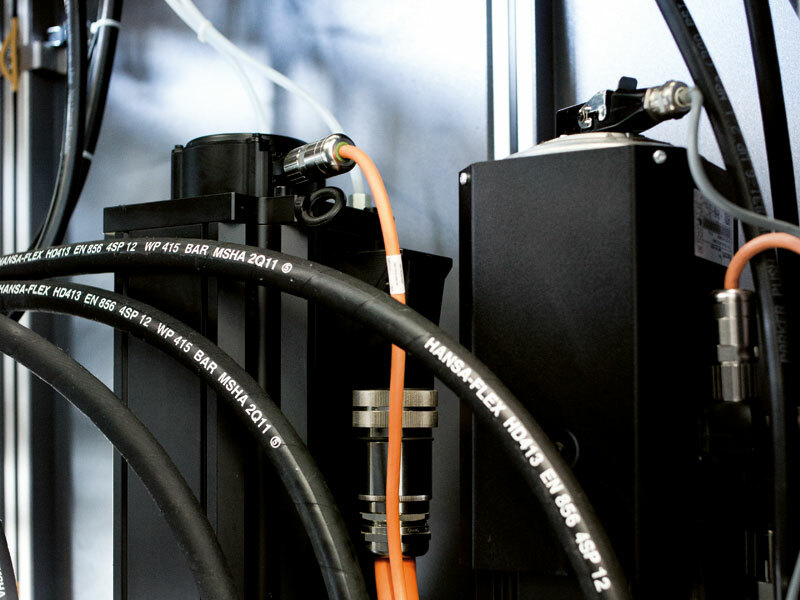 45 % of hydraulic energy can be saved, which corresponds to a reduction of the overall consumption by approx. 10 to 13 %. The optionally available EnergyControl software additionally leads to a drastic reduction of the peak load consumption. 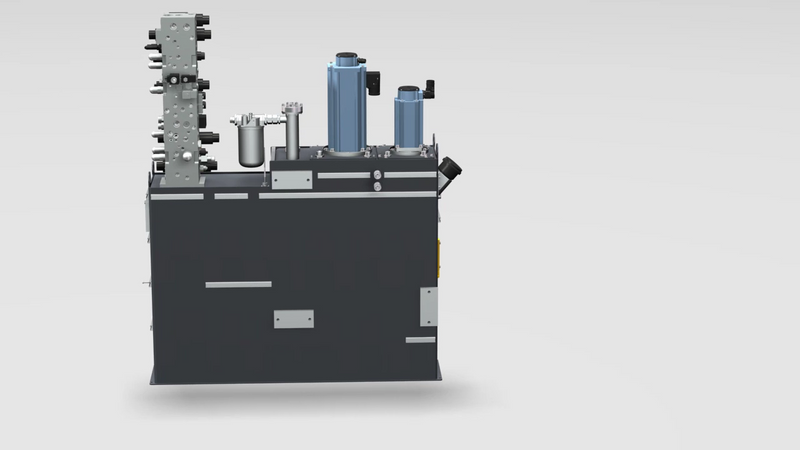 However, the innovative DESMA ServoGear hydraulics also reduces the noise emissions. 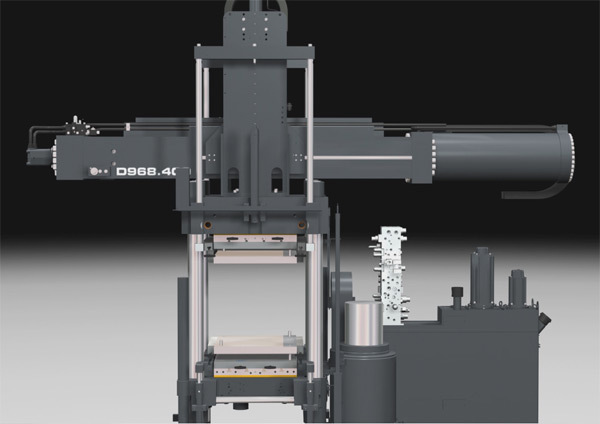 For parallel movements, a second servo axle with ServoGear technology is for instance available which ensures super-silent operation of the DESMA horizontal machines.